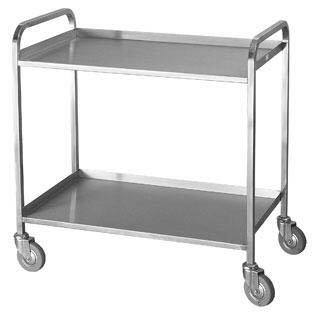 Our range of ward trollies are made of high quality Stainless Steel 304 ( View Why Stainless Steel Grade 304 are the best solution to infection control in our news section). Our supplies are 100% as per the customer requirements and specifications, this is because of our capacity to supply custom sized products and also by giving attention to each and every details in manufacturing process. 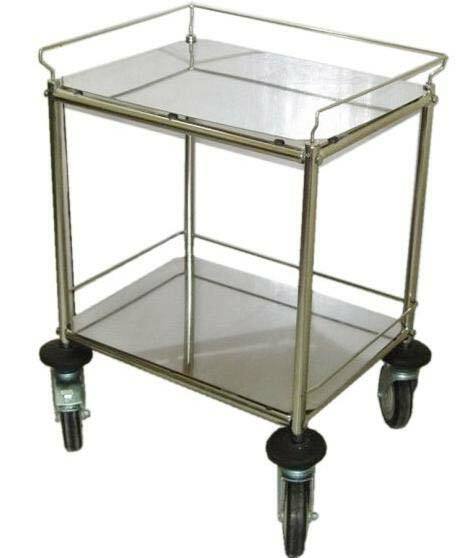 Our range of products are supplied with 4 antistatic castors, 2 with breaks. We can also supply these items with antistatic rubber shoes. (View the importance of antistatic castors and antistatic rubber shoes in hospital furniture in our news section. ) . 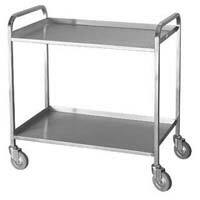 These items can be supplied fitted or in knock down condition. Knock down products are supplied with tools and set of assembly instruction. 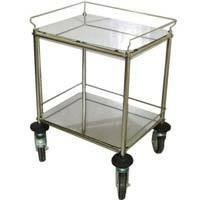 We can supply these models in high quality mild steel tube and sheet. Mild Steel models or components are then pretreated through 8 tank process and finished with Epoxy Powder Coated. (View the importance of 8 tank pretreatment in Mild Steel Hospital Furniture in our news section). All Rights Reserved. Josefina Life Sciences.